The Nero range of disc burning tools has been updated, and there’s something for everyone in this comprehensive suite of utilities. The company’s flagship Nero Burning ROM allows for the importing of files from the updated Nero MediaBrowser while SecurDisc Surface Scans make it easy to verify burn projects, but it is in the main Nero suite that the bigger changes are to be found, and the various tools that make it up. One common use for the Nero suite is backing up data, and there have been a number of improvements in this area. As well as support for NAS drives as a backup location, there is now support for incremental backups of your drives as well as the option of creating 1:1 file copies. Related to safeguarding your data, NeroRescue Agent can now be used to work with partitions that have not been assigned a drive letter. Nero Video now includes the option to import video clips directly from the Nero MediaBrowser, and if you have already started working with videos using Windows Live Movie Maker these projects can be imported into the program without fear of losing the work you have done so far. To help make your videos more exciting, there are now more audio and video effects to choose from and enhanced performance comes thanks to hardware acceleration with a wider range of graphics cards. For when you are working with videos, Nero Recode also includes a number of useful enhancements. To make it easier to re-encode videos for playback on particular devices, there are now more re-defined profiles available but you also have the option of creating your own if you want to frequently save videos using the same settings. 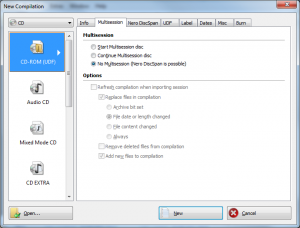 There are also new options for ripping both video and audio from DVDs as well as improved support for batch video conversion. Other changes and additions across the suite include the ability to create and order photos products such as cards and calendars from within Nero Kwik Media, and Facebook video sharing.